Definition at line 470 of file TypeRecord.h. Definition at line 473 of file TypeRecord.h. Definition at line 474 of file TypeRecord.h. Definition at line 493 of file TypeRecord.h. Definition at line 481 of file TypeRecord.h. Definition at line 495 of file TypeRecord.h. Definition at line 494 of file TypeRecord.h. Definition at line 487 of file TypeRecord.h. Definition at line 497 of file TypeRecord.h. 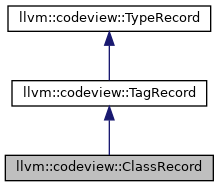 Definition at line 499 of file TypeRecord.h. Definition at line 498 of file TypeRecord.h.